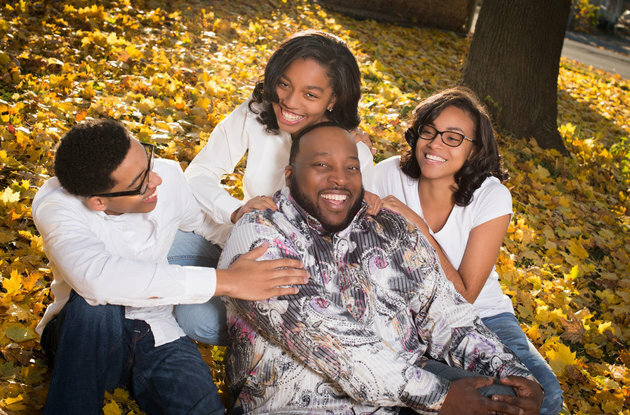 To mark Fathers day, Marvin Sapp, a pastor, singer, entrepreneur and a single father with three kids, shares his story of raising his grown up children. He has been raising two daughters MiKaila, 19, and Madisson, 17, and son, Marvin Jr., 22, since he lost his wife to colon cancer in 2010. What were some of the challenges of raising them during a period where they’re dealing with dating, menstrual cycles and prepping for college? Man, that was the challenge. Boys are different. I was a boy, so it was kind of easy with my son, but with the girls I had to tap into the maternal side and be a little more sensitive, and going to the store and purchasing things that I’ve never had to purchase before. Doing a lot of Googling and reading about cramps and things of that nature so that I can have some understanding of what my daughters were going through. And also having those very direct conversations with them about dating. I couldn’t depend upon their mother to be there and I just had to, for the sake of a better word, “man up” and have those direct conversations with them about what my expectations were as their father. And also, if they desired or decided to make decisions that were contrary to what I taught them, to be open and honest enough to have that conversation with me.